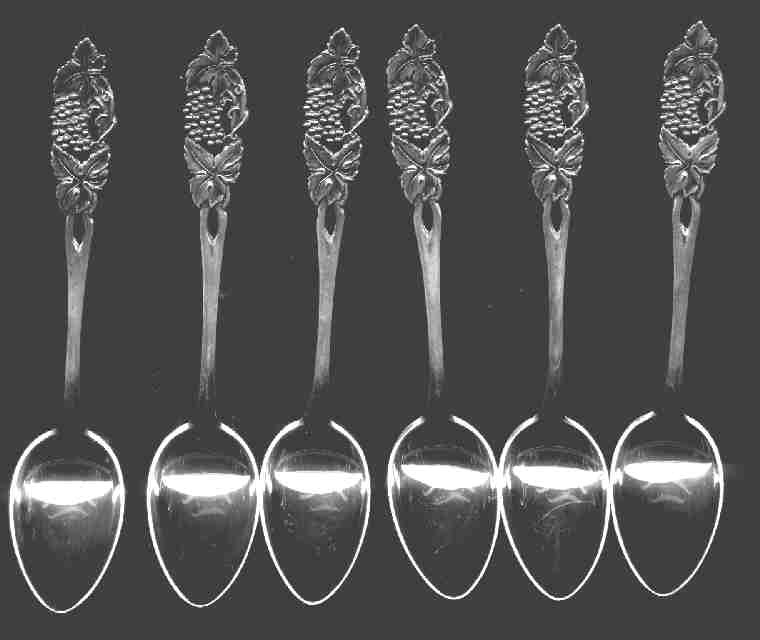 This cute demi set of 6 spoons from Finland is of fairly recent production (1968). The set is in perfect condition and features finials of grapes, leaves and gold plated bowls and is housed in it's own box. This set of fully marked 813 silver is available for a very reasonable price, so email me if you are interested.